Capital Sisters works with exemplary non-profit microfinance institutions (MFI Partners) that operate in the developing world. Our partners are non-religious, non-governmental and nonprofit organizations that lend to the most highly impoverished women in their communities. They typically provide ancillary services, such as health and education, for a holistic approach to development and they are committed to the highest standards of social responsibility for the benefit and dignity of their clients. Capital Sisters provides them with critical zero-interest capital for growth. Our inaugural microfinance partners are in Asia and Latin America, and our next partner will be from the African continent. Learn more about our Investment Program and our Microfinance Partner Criteria here. 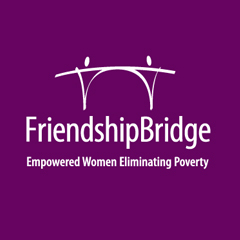 Friendship Bridge is a nonprofit, non-governmental organization that empowers impoverished Guatemalan women to create a better future for themselves, their children and their communities through microfinance and education. As of December 2015, they had a loan portfolio of over $7 million and total assets of more than $10 million. Friendship Bridge currently serves nearly 22,000 Guatemalan women as active clients ‐ with a repayment rate above 98%. By providing ancillary services to clients, including non-formal education on topics like money management, self-esteem, women’s rights and the importance of keeping children in school, Friendship Bridge has become a leader in social performance. The organization also differentiates itself through the provision of credit in rural areas, solely serving women, and providing programs in clients’ indigenous languages. Under its strong leadership, the organization continues to expand its positive social and economic impact in a sustainable manner. 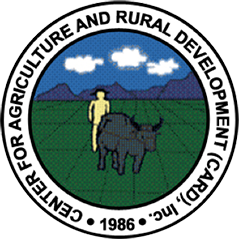 The Center for Agriculture and Rural Development (CARD) is one of the pre-eminent microfinance institutions in the Philippines, which has one of the largest and oldest microfinance sectors in Asia. CARD has been successfully serving poor, primarily landless rural women in this extremely challenging geographical landscape since 1989. CARD provides clients with access to micro loans, insurance, educational, livelihood, health and other capacity-building products and services so that they can provide for their families and better serve their community and the environment. As of December 2015, they had a loan portfolio of $106 million and total assets of $154 million. CARD currently serves over 816,000 Philippine women loan clients—with a repayment rate of over 99%. . CARD is a recognized industry leader and has received numerous international accolades for its social and financial performance.